Part 2 of the Gallery. 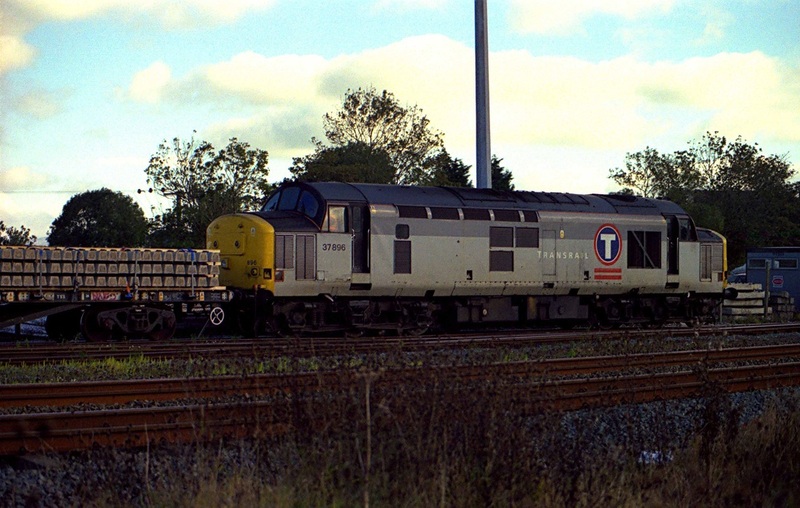 Fragonset liveried 31s frequently stabled at West Coast Rail's site for a number of years, until FM Rail (Fragonset etc went bust). 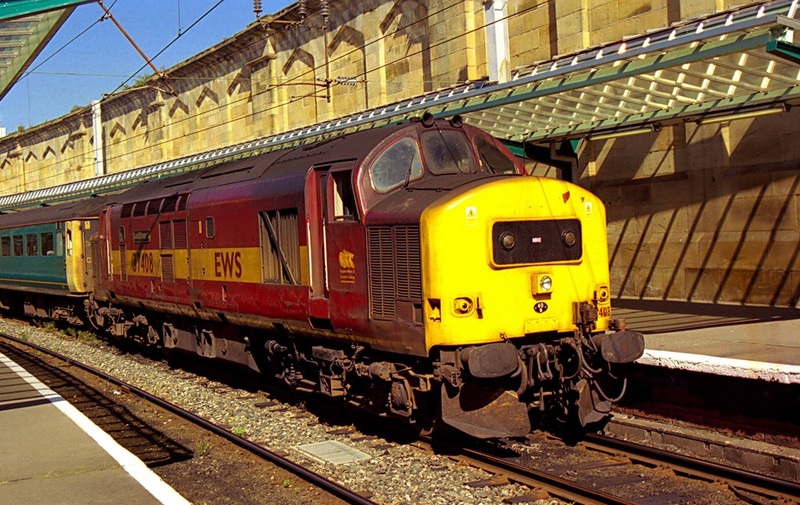 Carlisle on the last day of the WCML diversions on 23/2/2002. 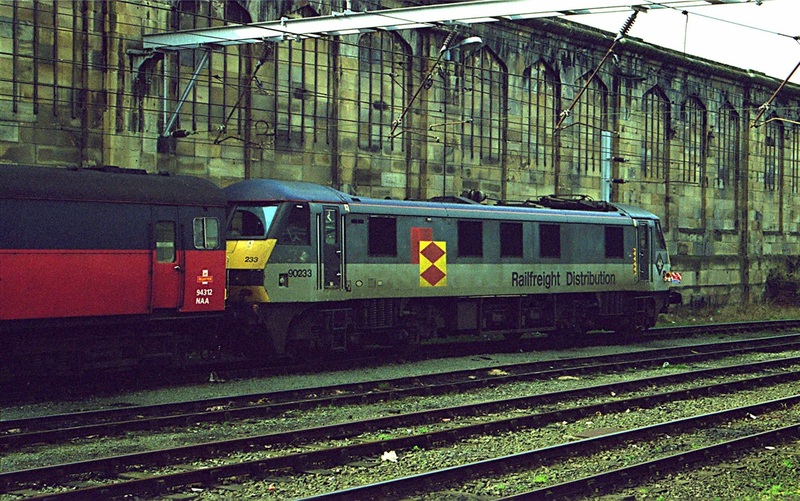 90233 in Railfeight Livery stands at Carlisle. 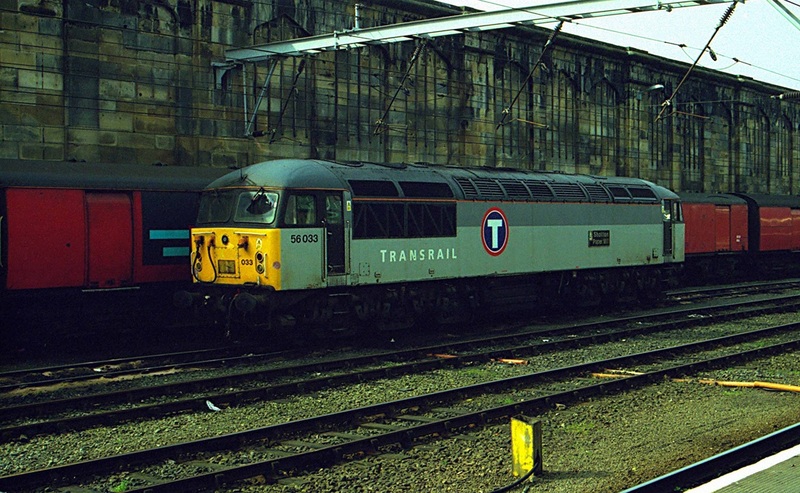 Also on the same day, Transrail 56033 awaits it's next turn. 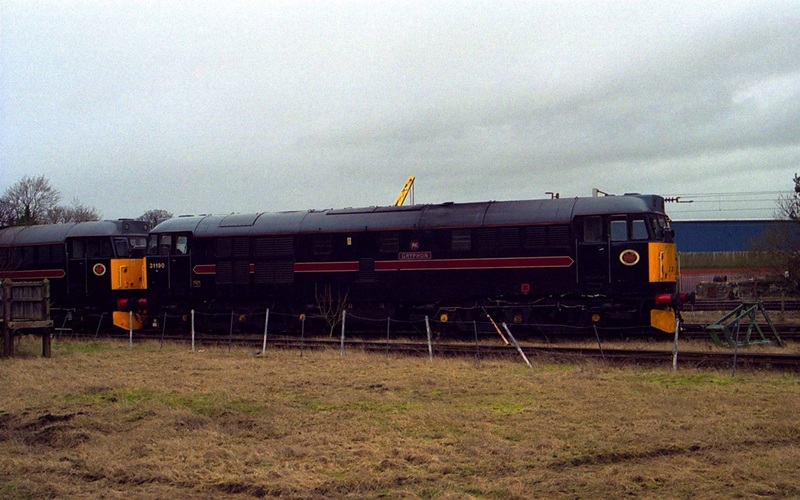 At the time it was mainline registered, it occasionally visited WCR to stable overnight, 45112 stands at Carnforth on Sunday 29/3/2002. 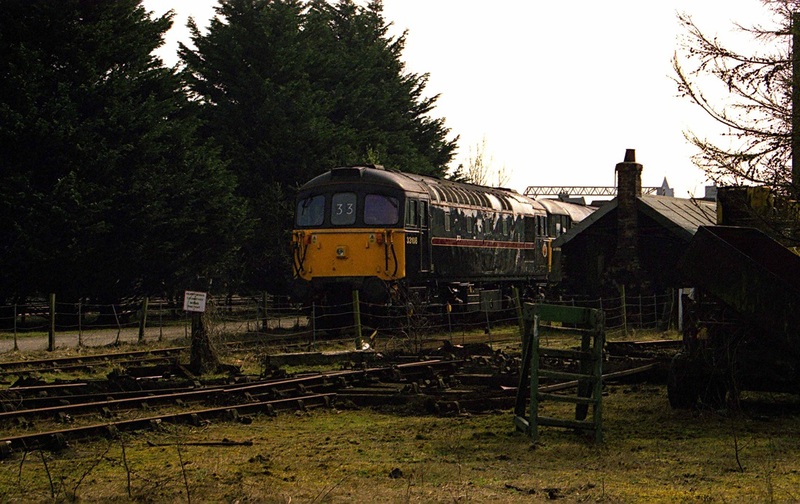 Sun everywhere, but not on the loco!! 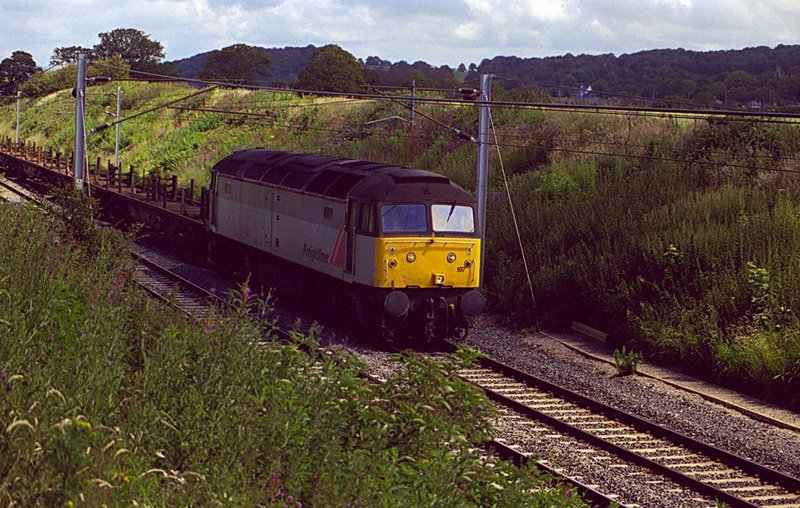 47197 heads south on 12/7/2002 approaching Hest Bank with a working of empty rail wagons. 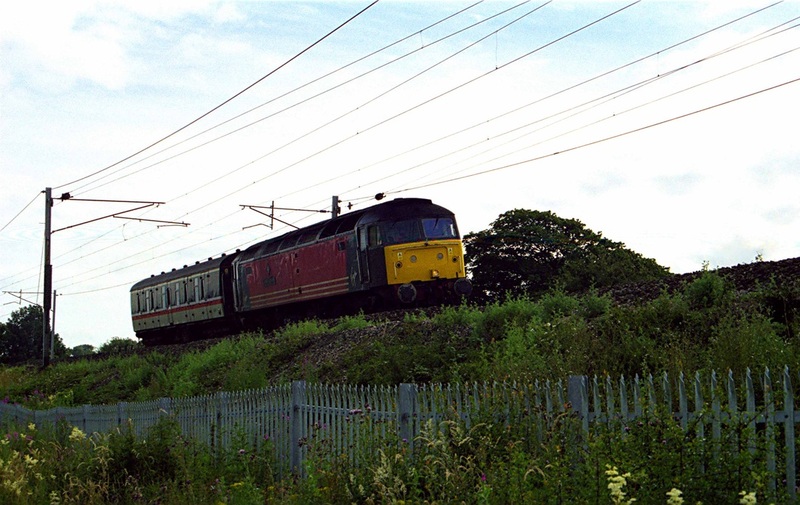 47828 heads back to Carnforth for Thunderbird duties on 11/7/2003, seen here passing Morecambe South Junction. 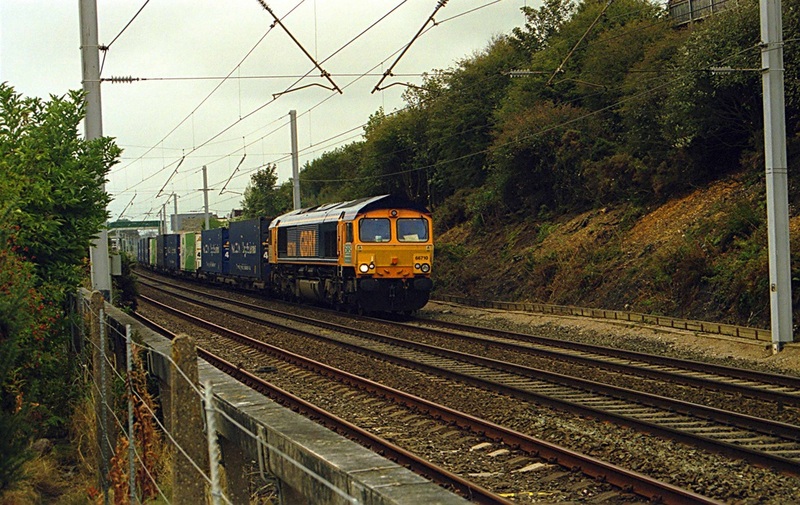 DRS hired GBRf 66710 (and applied DRS stickers to the cab ends) for the 4M34 Malcolm service to Daventry seen passing Hest Bank on 18/9/2003. 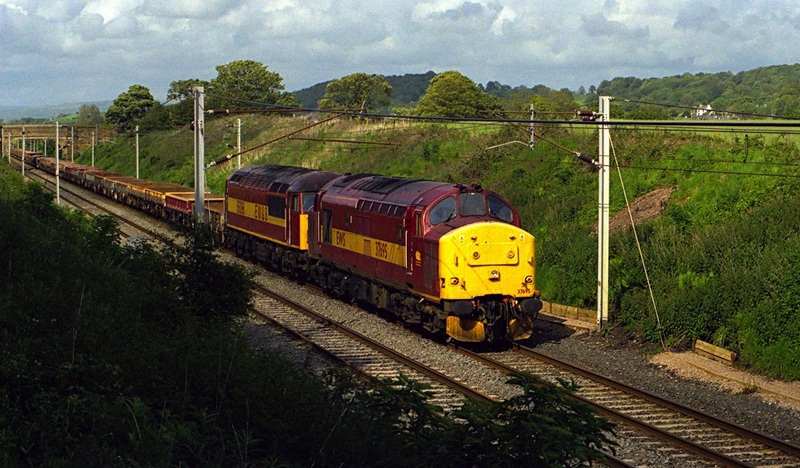 My last ever shot of a Class 56 working on the WCML for EWS (now DBS), at Hest Bank with another image of 6k05. 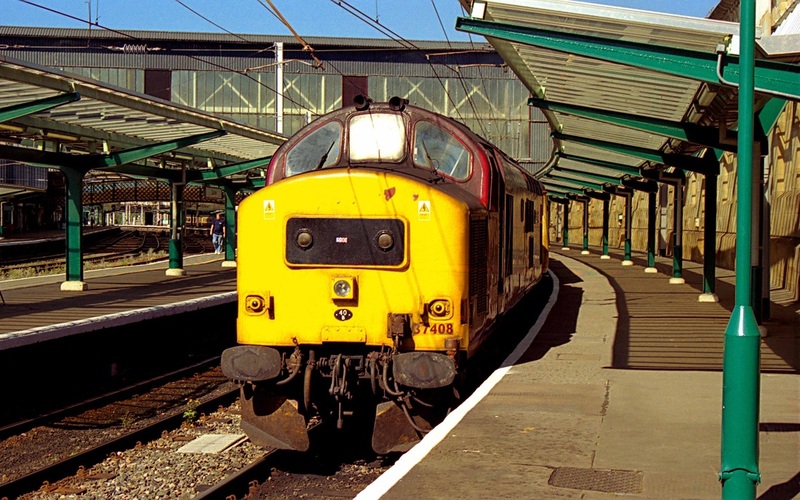 In 2004, Arriva Northern ran a daily service over the S & C between Leeds and Carlisle, which used a pool of 3 Class 37s. 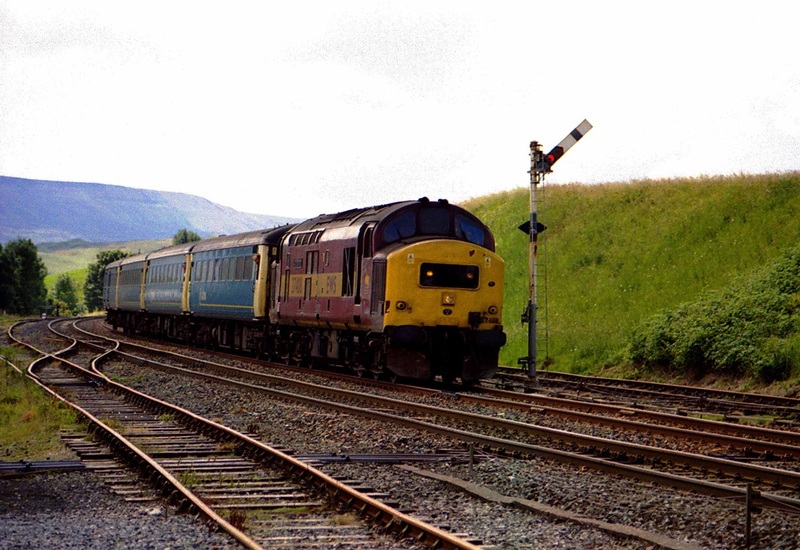 Generally the service was T n T operated, but on this occasion a single Class 37, 408 provided the traction. 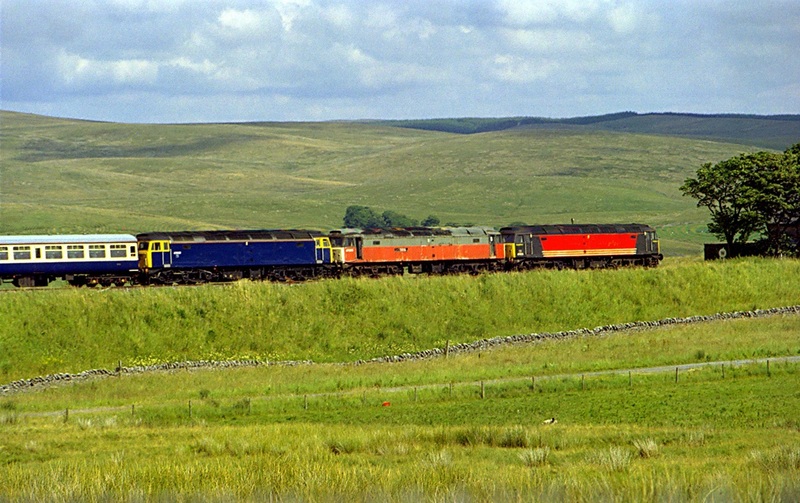 The working is seen approaching Kirkby Stephen on 21/7/2004. 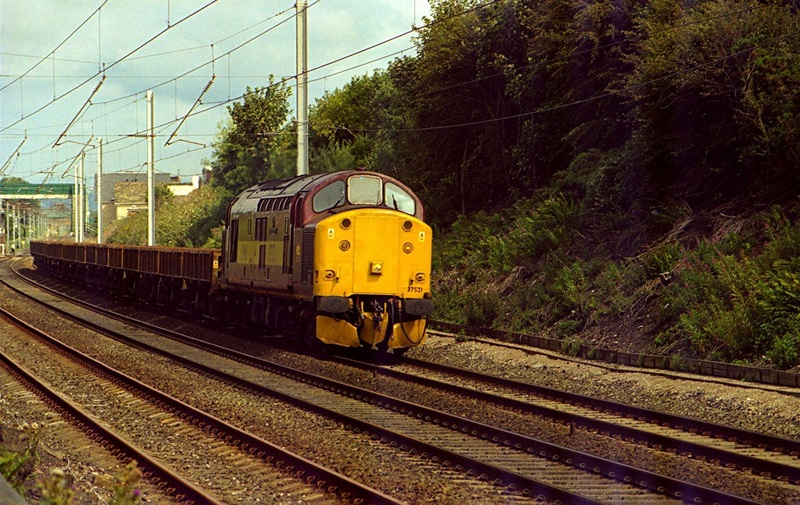 The other 37s allocated to this service were 405 and 411. 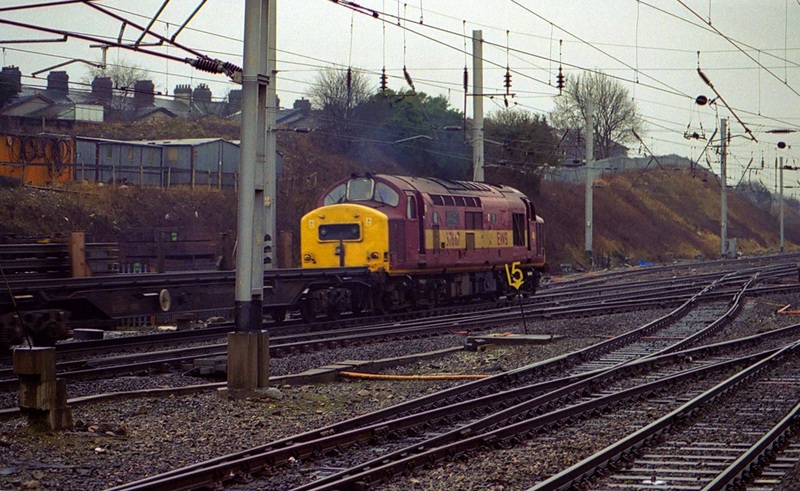 ..and XP64 47853 on the tail. 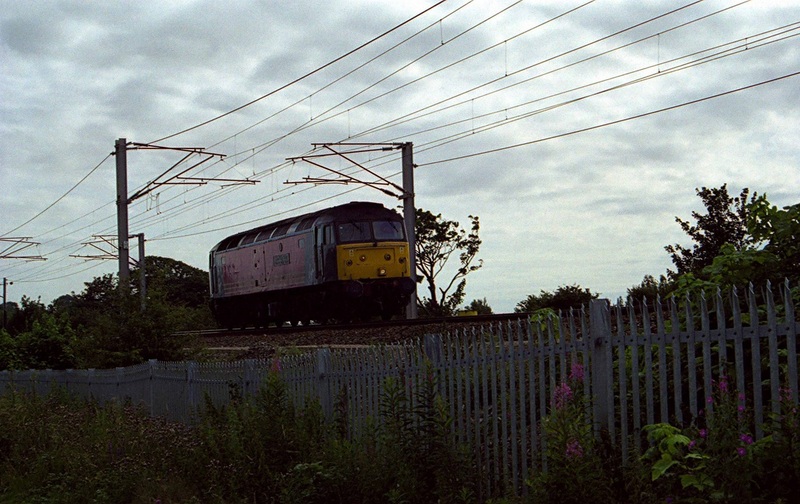 The date was 21/7/2004. 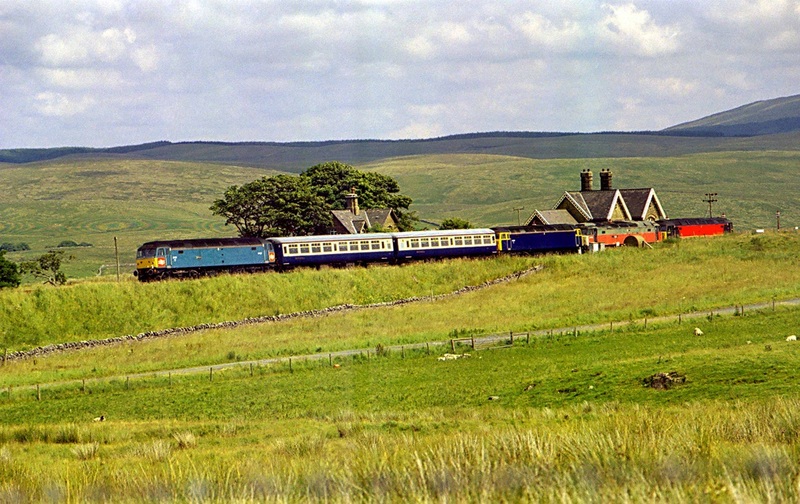 The Arriva southbound working on the same day approaches Ribblehead station. 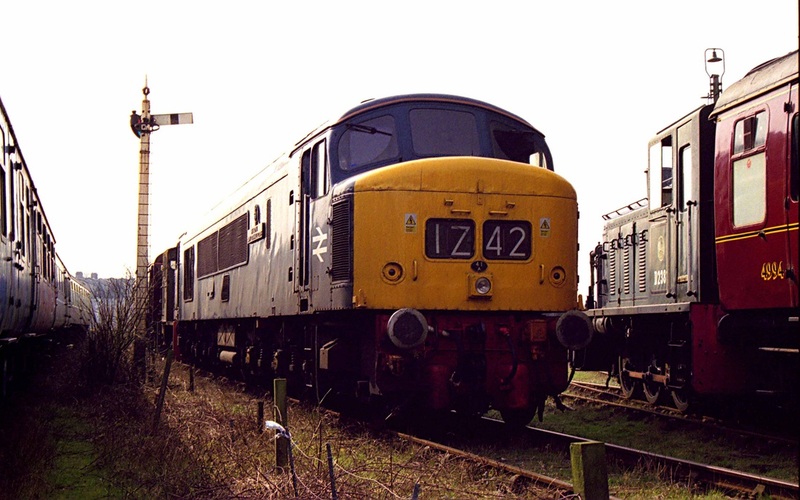 ... and 37408 "Loch Rannoch" at the front. 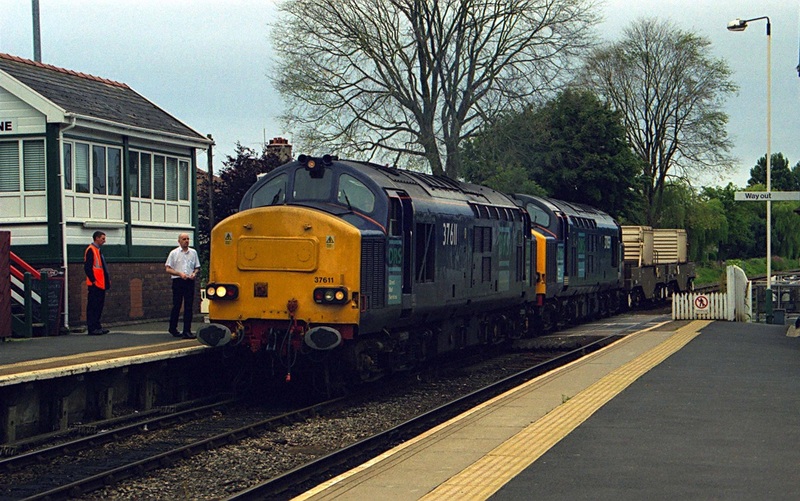 The date was 9/9/2004. 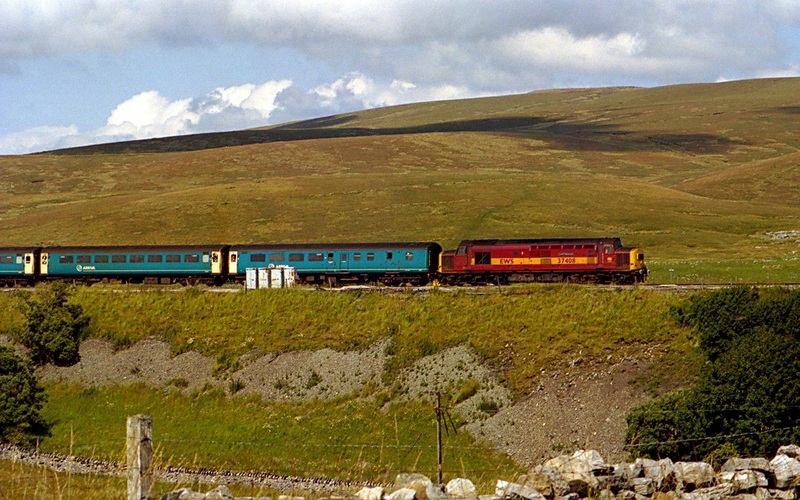 Another view of "Loch Rannoch". 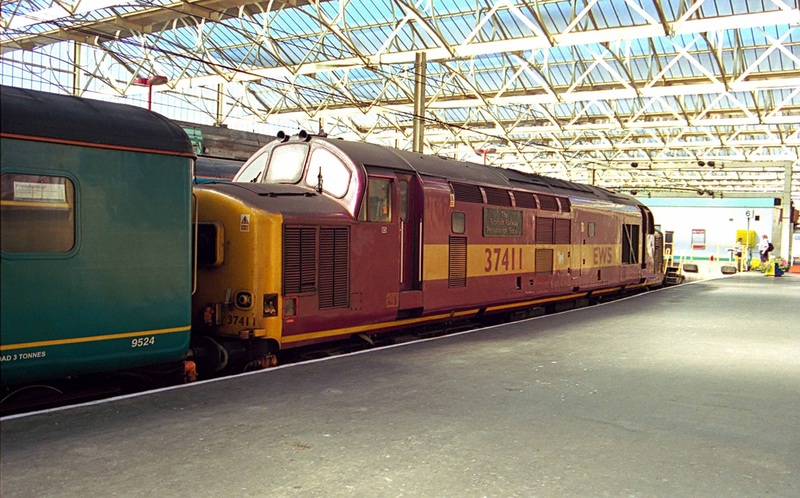 Sadly this loco is no longer with us, as soon afterwards, when it was working in South Wales on another Arriva service, it ran away in a siding and hit some buffers which resulted in it being withdrawn due to collision damage. 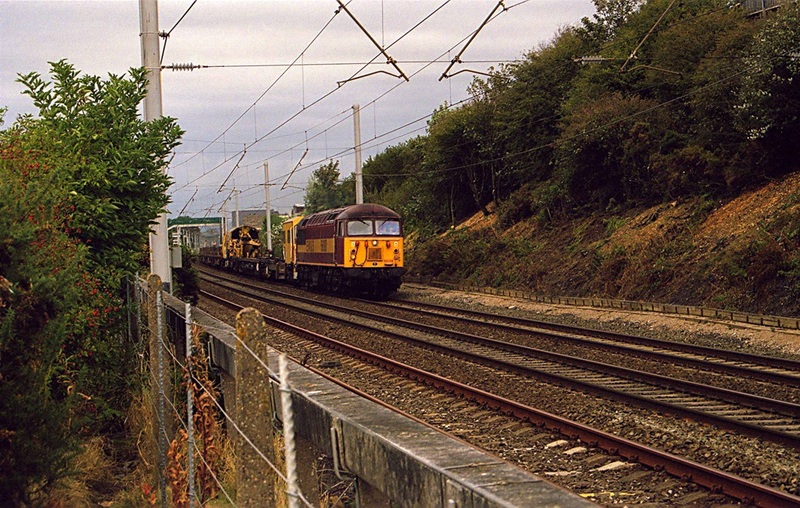 DRS Crompton 33030 with 37611 approaches the connection to Heysham Power Station with 6C51 on 5/10/2004. 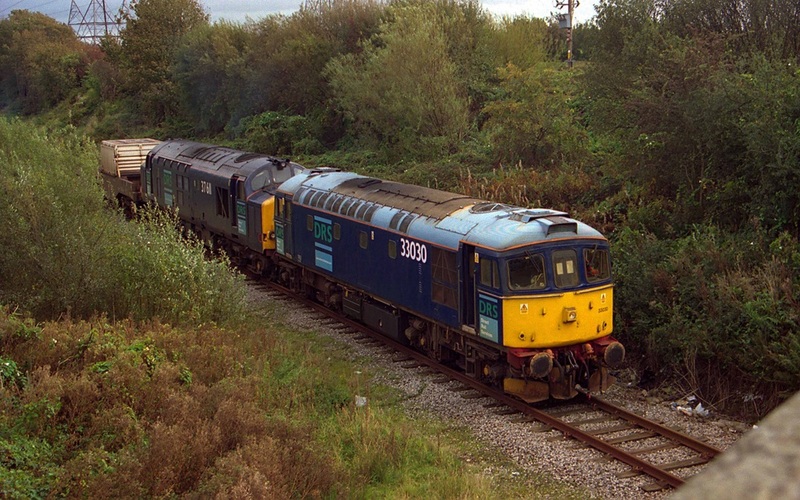 Now owned by WCR, the 33 is still in DRS livery, but is used as a source of spares for the West Coast Class 33 fleet.